Located in the heart of Fort Wayne, Indiana is the Harrison Square Mixed Use Development that was created to start downtown revitalization. 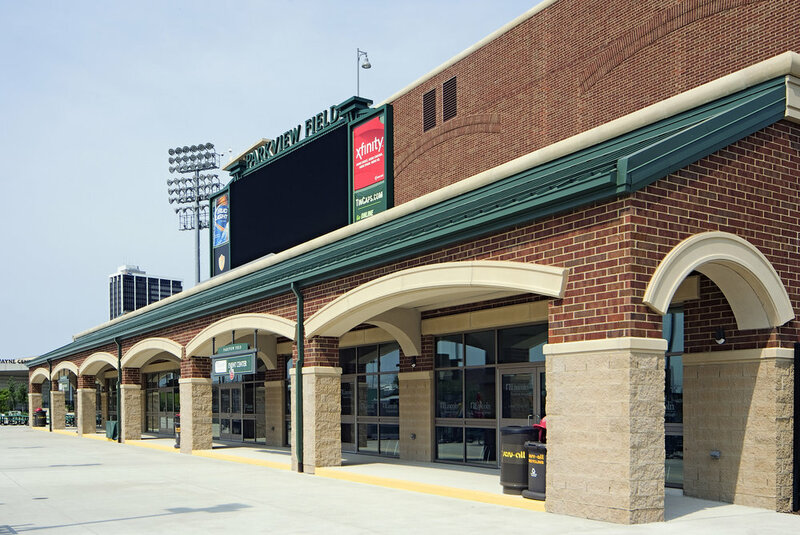 At the center of the Harrison Square project is Parkview Field, home to the city’s minor league baseball team. The stadium has been ranked five of the last six years as the best minor league sports venue in the world. 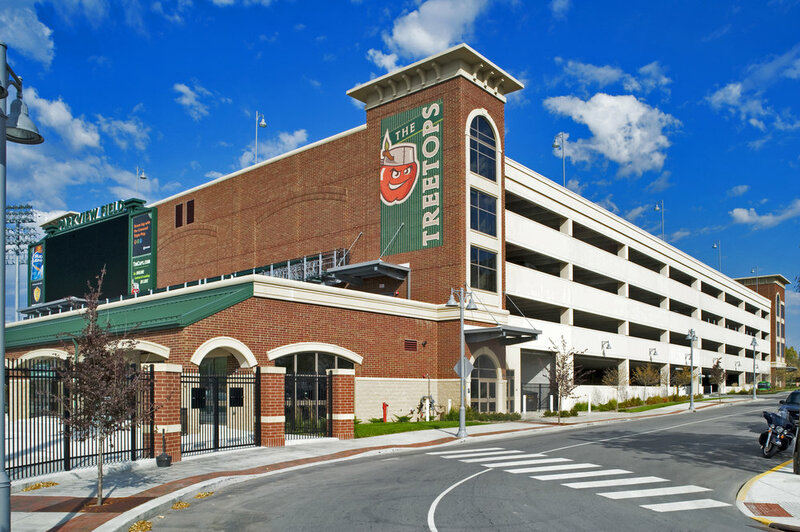 Fans who attend the home games park in the adjacent 250,000 S.F 900 space parking garage. 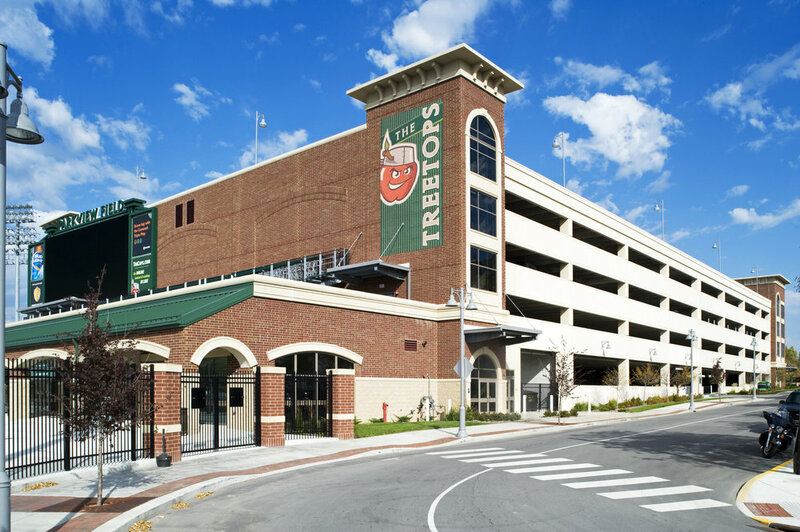 The use of exterior brick and wayfinding signage gave the parking garage a downtown, civic presence. In addition, a rooftop deck on the western side of the garage overlooks the adjacent ball field, providing a prime location from which the games can be viewed. Schenkel Shultz (Elevatus) was the architect of record with Hoch providing structural engineering/specialty precast engineering.